Twelve Days, a company that offers gift items related to the Twelve Days of Christmas, was founded by the mother and son team of Mary Ellen Wolfe and Jonathon Wolfe. They were inspired by a Christmas tradition of hanging small gifts in little boxes on their Christmas tree. The pair always thought that other families would enjoy this tradition, too, and reserved twelvedays.com years before the business became a reality. Mike: Tell me a little bit about the business. When did you decide to move forward with the idea and how difficult was it to do so? Jonathon: Though we’d had the twelvedays.com domain for several years and had discussed the possibility of building a business around our family’s Twelve Days traditions for just as long, we decided to make the business a reality a little over two years ago, in the summer of 2008. Since we decided to focus on bringing our family’s way of celebrating the Twelve Days to the world, that meant we had to design sets of small gift boxes that could hang on the Christmas tree. 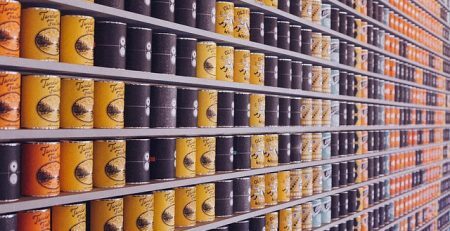 While packaging is usually an afterthought, for us it’s the actual product, and it had to be designed well enough to be worth spending money on. Now, I’m a web designer/programmer by trade, and pretty confident in that area, but I had never done packaging design. It was a whole new world to learn about — materials, prodution processes, manufacturers, and logistics, to name just a few topics we had to dive into. So, yes, you could say it was difficult at times. But, being a family operation, that loyalty has kept us going through the tougher times. We weren’t able to find a manufacturing partner with the right mixture of design quality and reasonable cost in 2008, so 2009 was the first year where we were really “in business” and generating sales. Our product design definitely benefitted from the extra time, and in hindsight we’re glad to have launched later but with a quality product — the “release early, release often” mantra that works so well for digital businesses doesn’t necessarily apply to businesses selling physical products. Mike: I’m sure the Christmas holiday season is your busy time. Do you still do business in other times of the year? What are your visitation statistics in your peak month? Jonathon: Oh yes, the prime holiday shopping season is definitely our most busy time, by far. But, it doesn’t drop off a cliff right after Christmas — there is a bit of residual search volume related to Christmas in January. And, the rest of the year, there is a trickle of sales and the occasional wholesale/partnership inquiry out of the blue. Overall, however, this has proven to be an even more seasonal business than we expected, which has its plusses and minuses. We don’t have to have all the machinery to fulfill a lot of orders in place year-round, but then we are really crushed during the holiday season, which is a busy enough time as it is! Our traffic last December peaked at ~10,000 visits, with most of that being organic search traffic, which I think is respectable for a site whose content and inbound links were nearly brand-new. Thankfully we were able to get some good inbound links from packaging design aficionados. We are starting to see a nice ramp-up in search traffic this fall, and expect to see quite a bit more organic search volume this holiday season due to the site being older, more inbound links, and more keyword-rich content that’s well-written and worth sharing. 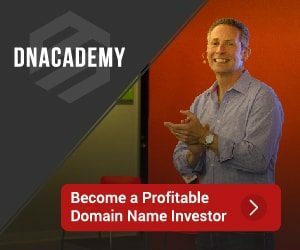 Mike: In what way would you say the domain twelvedays.com has contributed to the success of your business. As opposed to WolfeGifts.com or some other name? Jonathon: We did consider using other, more “branded” names for the business, and even registered some other suitable domains like boxation.com. But, in the final analysis, we felt that twelvedays.com was the best we were going to be able to do by far. Literally millions of people search for “12 days of Christmas” and related topics every December, and most of the sites on the topic are pretty atrocious. Twelvedays.com was available, is made up of only on-topic keywords (with no filler), and was short and simple enough that we felt that we could build a high-quality brand around what had previously been a generic term. So far, people like and immediately get our company’s name, and I think the domain has helped our search traffic. Mike: In our email correspondence, you mentioned your SEO efforts. Tell me more about that. What are some of your targeted key words? 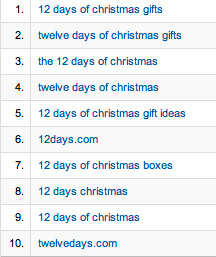 Jonathon: Our top targeted keywords are “Twelve Days of Christmas” and its variants (12 Days, etc. ), as well as “Christmas”, “Gifts”, and “Boxes”. Thankfully, those are the keywords that Google thinks we’re most relevant on (except for “heirloom”, which we’re not optimizing for, but that’s fine.) As you can see from the attached Google Analytics screencap, we’re seeing our highest volume of search traffic on these terms. We think that this has been working for us due to a combination of the keyword relevancy of our domain, decent on-page optimization (page titles, img alt text, keywords in copy, etc. ), and the fact that our inbound links, while not extremely numerous, have good link text and have come from high-quality sites. Mike: What, if any, other marketing strategies do you employ? Do you advertise on websites or participate in PPC marketing campaigns? Jonathon: We did a lot of PPC advertising with Google and Facebook last year, and it brought plenty of volume, but frankly for us it’s not a winning strategy. Our product is unique and takes some explaining for people to understand, so we can’t monetize PPC or CPM traffic as well as other Christmas-related keyword advertisers. So, this year, we’re focusing on SEO, link-building, and some offline advertising opportunities to very targeted audiences (for instance: http://californiarevels.org/). Our long-term goal is to make our site the best-in-category for the Twelve Days of Christmas and to not be in the business of buying our traffic (except through our hard work!) We may never beat the Wikipedia page due to their ridiculous domain authority, but we can definitely have a best-in-category site for our niche. Mike: What advice do you have for others looking to select a new domain and start an online business? Jonathon: Buy a great domain 10-12 years ago! I’m joking, but if I had’t had the foresight to register twelvedays.com a long time ago, we probably would not have been able to afford to buy it. I still kick myself for not registering dictionary-word domains back in college when Netsol was the only game in town. In hindsight, $70/year (which is what it cost back then) would have been a great investment! Seriously, I think the best asset in looking for a domain is creativity…unless you have deep pockets. I personally use domainsbot.com to explore domains, and look only for .com domains without hyphens. It’s getting harder and harder, but if you’re not set on a short domain name, you can still find good keyword-rich domains at times. I have personally never bought an already-registered domain, but I have sold enough over the years without trying to pay for the portfolio of domains I keep around. As for starting an online business, for those who need an online store, I highly recommend Shopify. It’s well worth the money (and this is coming from a guy who could do all the infrastructure himself if he wanted to). I also think it’s amazing how many high-quality inexpensive design themes are available for Shopify, WordPress, and the other major platforms. It’s an amazing time to be an entrepreneur, as so much value can be gotten for so little money. I would also highly recommend finding a partner you can trust instead of going it alone. Even if you are just reselling a product, or don’t have physical inventory like we do, starting a business is a LOT of work, and it’s not as easy as all the gurus out there who just want you to buy their book (or ebook) say. Jonathon: I’m sure your audience is mostly male. So, for the guys out there, I’d just like to plug our Twelve Days gift boxes as a great way to score points with your lady — they love the design, that they hang on the Christmas tree, and the anticipation of opening one small gift on each of the Twelve Days. Speaking from experience, it takes some of the pressure off of Christmas gift-giving, since they appreciate the whole process and think it’s so romantic that you don’t have to focus so much on finding that one (expensive) knock-her-socks-off romantic gift. For enduring that self-serving plug, I set up a 10% discount code just for your readers. Just enter “SULLY2010” during checkout if you want to take advantage of it. Another great interview with a nice domain and it comes at the perfect time of the year. Hey Mike, thanks again for doing this interview. Your questions were really insightful. Hope your readers enjoy the info.